Update, August 11, 2018: Fallout 76’s private servers will support mods, Bethesda revealed today during a panel at QuakeCon in Dallas. Fallout has always been a series where you can have the wasteland all to yourself, as long as the raiders and super mutants don’t get you. But, with Fallout 76, it first appeared that this “entirely online” survival prequel wouldn’t let you play as the lone wanderer you might have been used to in past games in the series. This leaves veterans wondering, can I play Fallout 76 on my own? 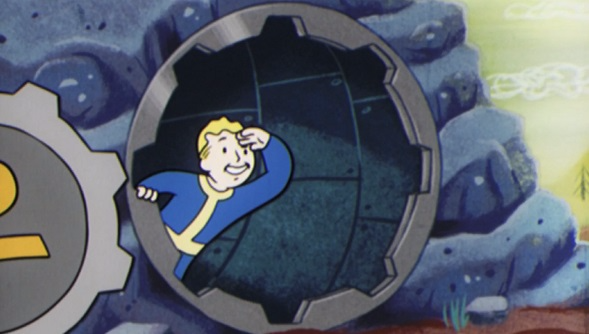 Fallout 76 is all about reclaiming the wastes of West Virginia in the wake of the relatively recent nuclear war with your friends. You can make bases and venture out for materials and nuclear codes anywhere with your mates with which to blow the living hell out of other real life human players and their bases. All humans will be real players and there will be no NPCs or offline play but, despite this being a very different Fallout experience, it will be possible to play the anti-social way. Bethesda Games Studios director Todd Howard has confirmed that you will be able to explore Fallout 76’s large map on your own private server. That means your artfully-designed C.A.M.P. won’t be at risk from Fallout 76 nukes from online players, or a protracted teabagging session. Howard understands the reservations long-serving Fallout players might have about a shared-world wasteland, touching on the balance Bethesda is attempting to strike between online play and the traditional Fallout experience. “We don’t want it to be griefy but we want to have some drama,” Howard says. At QuakeCon 2018, Howard said that Bethesda is “100% committed” to mod support for Fallout 76, even though it’s a much more difficult proposition in an always-online game than in a traditional single-player experience. Mod support will include private servers, he said, noting that the series most devoted players very often play modded versions of Fallout 4. For players in the ‘other humans are inherently bad I want to play on my own, thank you’ camp, private worlds will be music to their ears – even more than these ‘Take Me Home, Country Roads’ covers you definitely don’t need. We don’t know everything about Fallout 76’s social systems, yet, but we’ll be keeping an ear out for all the latest details. For now, you’ll need to come up with all the ways to kill time in the hills of West Virginia once they’re all yours.